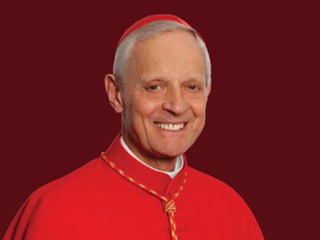 DONALD CARDINAL WUERL is the Archbishop of Washington, DC, and the bestselling author of The Catholic Way. He is known nationally for his catechetical and teaching ministry and for his efforts on behalf of Catholic education. 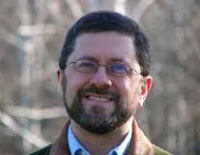 MIKE AQUILINA is the author of over 20 books, including The Mass of the Early Christians and Fire of God's Love:120 Reflections on the Eucharist. He appears regularly on EWTN with Scott Hahn. From the bestselling authors of The Mass, an insightful and practical guide that explores the architectural and spiritual components of the Catholic Church. Your local church is not only a physical place, but a spiritual home. In this thought-provoking book, Wuerl and Aquilina illuminate the importance of the Church in its many guises and examine the theological ideas behind the physical structure of churches, cathedrals, and basilicas. How is a church designed? What is the function of the altar? What does the nave represent? What is the significance of the choir loft? With eloquent prose and elegant black-and-white photography, these questions and many more will lead to answers that illuminate the history and practicality of Catholic life. CATHOLIC DREAM TEAM: In a pairing that brings together the best of the pastoral and the secular, Cardinal Donald Wuerl, the Archbishop of Washington, DC, is teaming up once again with beloved author Mike Aquilina to bring us a unique vision of one the most important aspects of the Catholic faith. Catholics love their churches. We build them with love. We make them lovable. If you visit a remote village in Latin America, the people will be pleased to show you their church—the church that they or their ancestors have raised to the glory of God. Step inside and you’ll ﬁnd a sanctuary adorned with precious items: skillfully wrought woodwork, stonework, and metalwork, and paintings and statues in the local style. If you linger for Mass, you’ll see a chalice and plate of gold or silver, enhanced perhaps by gems. The inside of the church may be lavish and rich, while the homes outside are simple and unadorned. And that contrast sometimes shocks people who are visiting from more prosperous lands. It has become a cliché of anti-Catholic prejudice to say that such precious objects would serve a better purpose if they were sold to raise money for food. The people in the village know better. They know that the money earned from such a sale would feed them for no more than a few days, while the loss would leave them impoverished forever. Without their church—their church—they would be spiritually and culturally destitute. For they’ve built and furnished their church with love, as Catholics everywhere do and always have done. Such love ﬁnds expression in the smallest details of construction and decoration, and in a seemingly inﬁnite variety of styles. You’ll see it in Ethiopia’s ancient churches—carved out of a single massive block of black stone, the size of a small mountain. You’ll see it in Cappadocia’s cave churches—occupied during a time when Christianity was illegal and the faith was forced under- ground (literally). You’ll see it in the play of dark and light in the Gothic cathedrals of the Middle Ages. You’ll ﬁnd it in the most ordinary suburban churches in the United States. Catholics build their churches with love; and our love has a language all its own. Like romance, Christian devotion follows certain customs and conventions—a tradition poetic and courtly—hallowed by millennia of experience. This book is about that silent language of love. 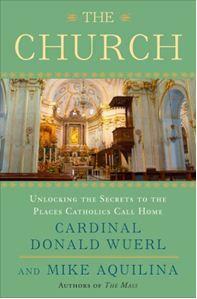 In these pages we’ll examine the structure of a church and its furnishings. We’ll consider the historical and biblical roots of each element in a church, providing basic deﬁnitions, and we’ll explain each element’s meaning in the Christian tradition. Why, for example, do churches have spires and bells? Where did we get the custom of using holy water? How does an altar differ from an ordinary table? What are votive candles for? Every part of a church is rich in meaning and mystery, theology and history. Every furnishing or ornament reveals some important detail of the story of our salvation. Through two millennia, Christians have preserved and developed a tradition of building and decoration. The tradition is supple enough that it could be adapted by local cultures as the Gospel spread to new lands, yet solid enough to protect and preserve the essential heritage received from the Apostles and revealed by God. If you were making a movie and you wanted your audience to identify an interior immediately as a Catholic church, what would you do? You’d show sunlight streaming through stained glass. You’d angle your camera heavenward, looking upward past monumental statues of the saints. 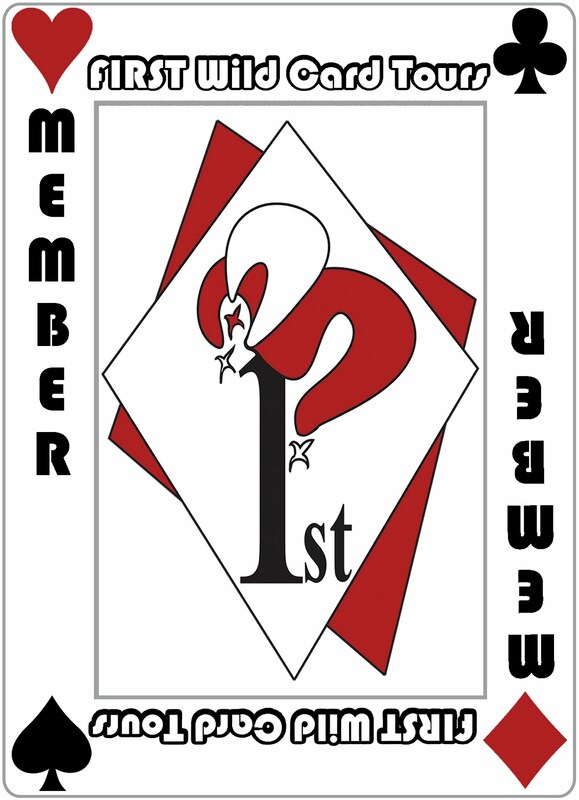 You’d pan across a bank of red votive candles with ﬂickering ﬂames, and then focus on an array of seemingly surreal images: a human heart surrounded by thorns; an eye; a disembodied hand raised in blessing; a painting of a woman standing on a crescent moon; a carving of a dove descending; a lion, an eagle, and an ox, all crowned by similar halos; and a throng of angels. In the popular imagination, these elements add up to a Catholic identity. But what exactly does each of them mean? The African saint gives us an important insight for “reading” our churches: One image can convey many layers of meaning, and the same idea can be expressed in manifold ways. Everything we see in a Catholic church is there for a single purpose: to tell a love story. It is a story as old as the world, and it involves the whole of creation, the vast expanse of history, and every human being who ever lived. It involves Almighty God, and it involves you. To understand our churches is to begin to understand a love at once unmistakably divine and profoundly human, faraway and yet intimate. When we begin to understand that love, it begins to light up our view of our churches and their symbols. The love story appears in compressed, poetic form in the Gospel according to Saint John. In the beginning was the Word, and the Word was with God, and the Word was God. He was in the beginning with God; all things were made through him, and without him was not anything made that was made. In him was life, and the life was the light of men. The light shines in the dark- ness, and the darkness has not overcome it. . . . The true light that enlightens every man was coming into the world. He was in the world, and the world was made through him, yet the world knew him not. He came to his own home, and his own people received him not. But to all who received him, who believed in his name, he gave power to become children of God; who were born, not of blood nor of the will of the ﬂesh nor of the will of man, but of God. And the Word became ﬂesh and dwelt among us, full of grace and truth; we have beheld his glory, glory as of the only-begotten Son from the Father. . . .
From beyond the distant heavens, existing before the beginning of time, God himself broke into history, took on ﬂesh, and made his dwelling—literally, “pitched his tent”—among his people. Yes, God is eternally the Word, but a word is elusive, and not everyone may grasp it. God, who reigns in heaven, and who transcends all creation and all time, assumed the life of an ordinary la- borer, who could be seen and heard and touched. God transformed all creation by his healing touch. He took up residence among his people. The early Christians said that when Jesus descended into the river Jordan he sanctiﬁed—made holy—all the waters of the earth, commissioning them for the task of baptism. In his mother’s womb he sanctiﬁed motherhood. At a family table, God handled ordinary food and made it to signify an otherwise unimaginable heavenly banquet. He wandered in the desert and traveled in boats and visited towns and cities. In doing all this, he blessed creation and hallowed it as a sign of his own eternal life. Every Catholic church is built to tell this story, the story of how “God so loved the world.” Every church is built to dispense the life-giving water and magnify the light that shines in the darkness. Every church serves the heavenly banquet at its family table: the altar. Every church is built as a memorial of God’s sojourn among his people—and of his people’s rejection of him. Front and center we keep the cruciﬁx. Our churches tell a love story, and they bring us salvation, and so we love them all the more. So much of Catholic identity is built into the houses we build for worship. Everything about our churches, inside and out, is a unique material token of the most profound spiritual love. Jesus has spiritualized the world, but he has done it by putting ﬂesh on pure Spirit. That reality is reﬂected on the walls of every Catholic church. Theologians call this the “sacramental principle.” Other authors, speaking colloquially, refer to it simply as “the Catholic Thing.” That’s how closely a Catholic’s spiritual identity is tied to these material realities. The sacramental principle tells us that, since the Word became ﬂesh, God has begun to heal and restore his creation. Spiritual light can now shine through the material world. Because of the touch of Jesus Christ, matter can now convey God’s grace. On one level, bread and wine; on another, oil, candles, fabrics and paint, bricks, blocks, and ﬁligree—all these can mediate God’s presence in the world. Jesus’s disciples, still today, can sense the dramatic effects of the Incarnation. With the poet Gerard Manley Hopkins we can look upon a world “charged with the grandeur of God”—and we can reﬂect that grandeur through the material objects and symbols present in our churches. Reﬂecting God’s grandeur is something we are drawn to do. It fulﬁlls a need we have as Christians who have been redeemed. We want to praise and thank the Lord who has saved us. But it also fulﬁlls a basic need we have as human beings; for the God who redeemed us is the God who created us, and he designed us to love beauty, to ﬁnd delight in it, and to make beautiful things that tell us of the greater beauty of divine glory. Christians need churches. It is said that for centuries the Benedictine order forbade the founding of a new monastery until the group of founders included a monk who could make bricks—and another who was trained in turning those bricks into church walls, raised according to the ancient models. From generation to generation they passed on the tradition of beauty, love, and wisdom that they had received, a tradition that libraries could not contain, yet one that we’ll try to survey with you in the chapters that follow.